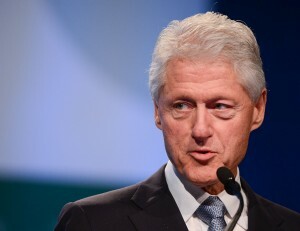 WASHINGTON — The Clinton Presidential Library is making available about 5,000 pages of previously unreleased documents involving former President Bill Clinton’s administration. The documents being made public Friday, part of a larger set of records being prepared for release by the National Archives, are expected to include confidential communications between the former president and his advisers along with records related to Clinton’s federal appointments. The records could also include communications involving former first lady Hillary Rodham Clinton, who is considering a 2016 presidential campaign. The former secretary of state’s potential White House campaign has renewed interest in documents from her husband’s administration during the 1990s and her decades in public service. Clinton, a former New York senator, is the leading Democratic contender to succeed President Barack Obama should she seek the presidency again. While the specific content remains unclear, the records could offer an unvarnished look at Clinton’s decision-making during his two terms in the White House. The records also could offer insight into the advice Clinton received from top aides and how the White House made appointments during his administration. In total, about 33,000 pages of previously confidential records from Clinton’s administration could be made public in the coming weeks. The expected release of the documents was first reported by Politico. Miriam Kleiman, a spokeswoman for the National Archives, said the federal agency has cleared for release about 25,000 pages of previously confidential documents during the next two weeks. The initial release Friday will be about 4,000 to 5,000 pages of records, she said. The documents will be posted online by the National Archives while paper copies will be made available at the former president’s library in Little Rock, Ark. An additional 7,000 to 8,000 pages of records are under review until March 26 and could be opened to the public sometime after that date. The records were previously withheld by the National Archives because they were exempt from disclosure under restrictions related to appointments to federal office and confidential advice among the president and his advisers. Under a law involving the handling and release of presidential records since the Reagan White House, presidential records can be withheld from the public for 12 years after the end of an administration if they fall under certain restricted categories. Once the restrictions expired in January 2013, the National Archives notified Obama’s and Clinton’s offices that they intended to release the records so both offices could conduct a review of the records. Both offices recently signed off on the documents.